Motoroids is one of the leading auto blogs and covers auto news, reviews, the latest happenings in the world of cars and motorcycles, industry insights, and scoops! 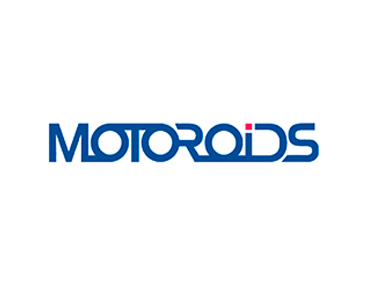 Motoroids receives over 750,000 pageviews of auto enthusiasts a month, with a strong social media following of roughly 11,000 Facebook followers. • Opportunity to become just one out of two lead supporters of the website. • Sponsored Editorials written by the Motoroids editorial team every two weeks about the sponsor’s brand. • An entire dedicated section to the sponsor’s product or brand that would include announcements, features, interviews and more. • Associate sponsor spot in any off-site events within the sponsorship duration. • Various contests and activities promoted via Motoroid’s social networks. Requirements: Must be relevant to the auto community. Please provide enough information for approval. *Partner Sponsorships may be customized and priced accordingly for both duration and features if preferred to the above option. For questions regarding this opportunity, please contact Advertisers@Advertisewithin.com for more details. Description: This is an opportunity to reach the Motoroids community directly with an advertorial about your product, service or brand. Requirements: Please provide enough information for the Motoroids editorial team to write a quality article, as well as be approve. Description: This is an opportunity to brand the entire background on both sides of the content of Motoroids on every page for a month. The imagery will be clickable towards the top. • The upper area will be the only clickable area of the advertisement and should have the majority of the informational content. • Send PSD files along with a JPEG version of the background skin.